A simple Christmas craft that is as fun to make as it is to decorate with. 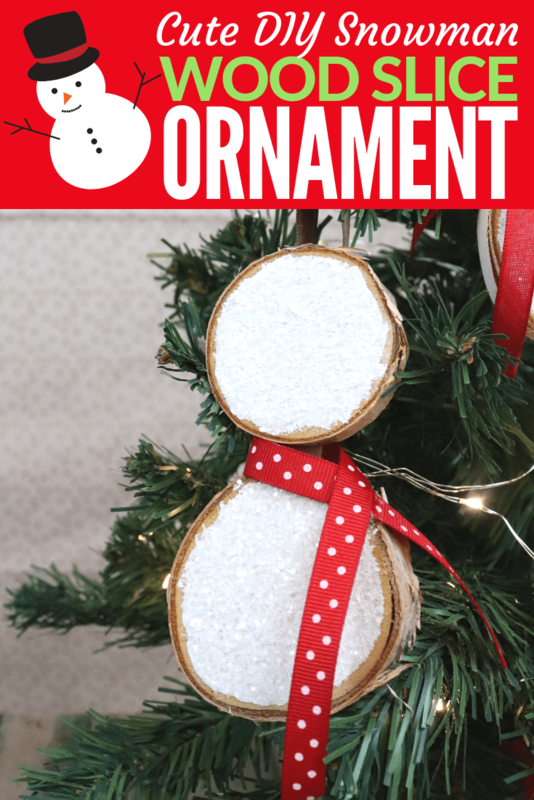 This snowman wood slice ornament is an easy DIY project that you can do with your kids, or by yourself if you like a little crafting “me time”. This wood slice ornament can be customized with different colors and embellishments and really add some sparkle and cuteness to your tree this year. 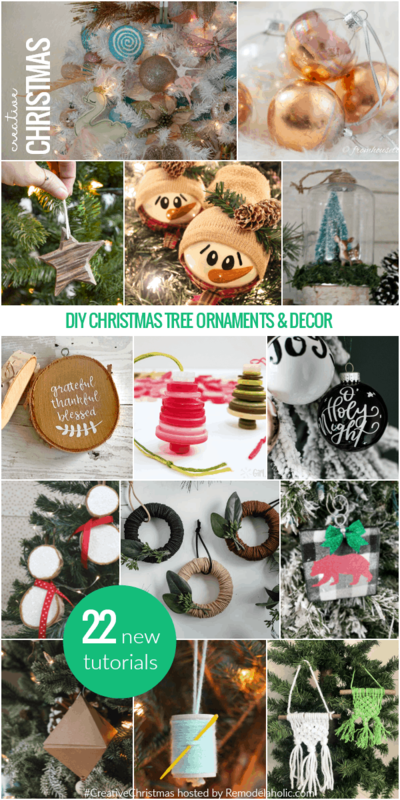 This post is part of the Creative Christmas Challenge hosted by Remodelaholic, which means you’ll find all kinds of inspiring Christmas projects at the end of this post as well as over on YouTube. 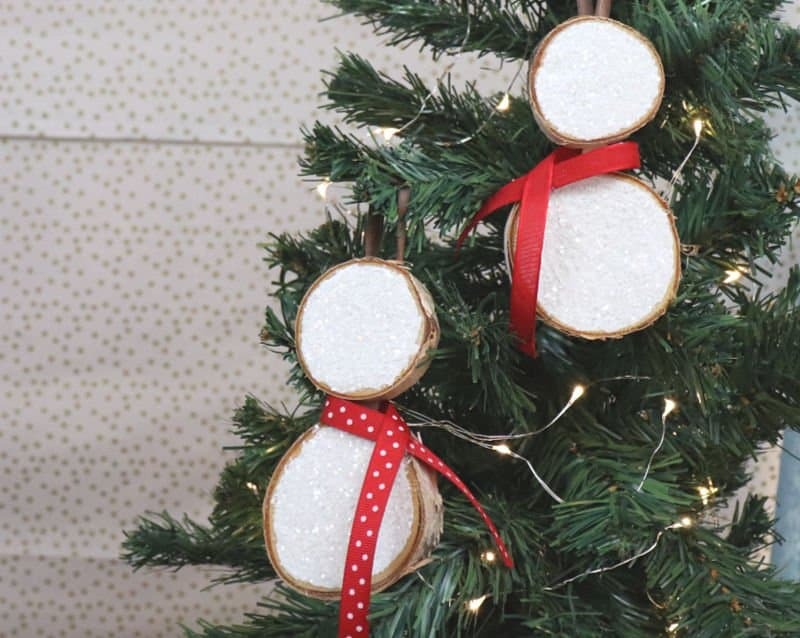 To make this snowman wood slice ornament, start with wood slices like these. If you are lucky you could cut your own slices from branches in your yard. I have tiny trees so that’s out of the question here. I bought a bag of wood slices and have found fun ways to craft with them, like these wood slice tags and reindeer ornaments. This bag of wood slices will come in handy this season and you will be crafting all the things! Begin by painting one side of each wood slice white. While still wet, sprinkle glitter over the white paint. Using a hot glue gun, attach the wood slices to a craft stick about a quarter inch apart. Attach a piece of brown ribbon to the back with hot glue, this will be the ornament hanger. 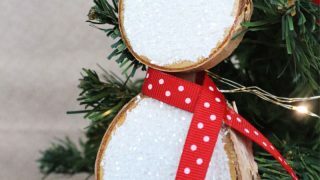 Wrap a piece of red ribbon around the space between the two wood slices and secure with hot glue to make a scarf for the snowman. I had so much fun making this snowman wood slice ornament, I hope you are itching to craft with some wood slices now! 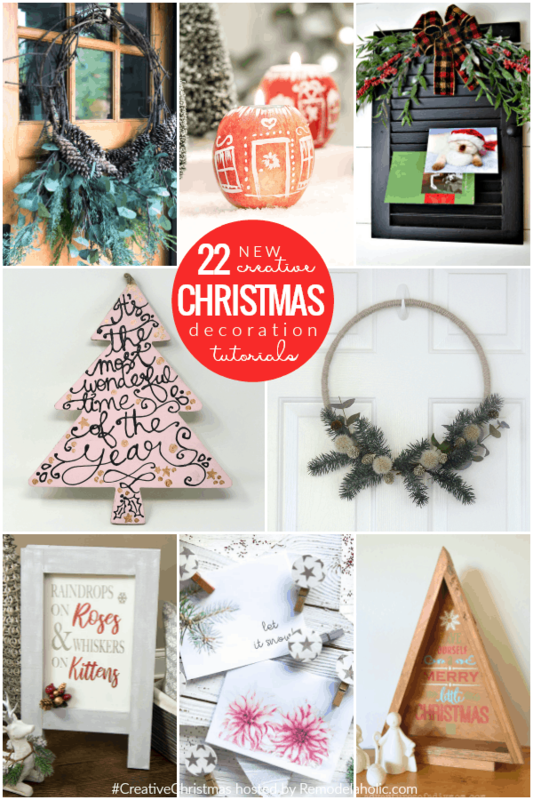 Since you are in the holiday spirit, be sure to check out these creative Christmas ideas below. You can find these tutorials on YouTube in the Creative Christmas Challenge playlist, watch and be inspired! These are so fun. My kids would love making these. Super adorable, Sarah! Thanks for joining Creative Christmas! I just love these wood slice ornaments! So creative to turn them into snowmen!